On November 6, 2015, a vehicle she was driving suddenly accelerated as it approached a cluster of Israeli soldiers near Halhul Junction, close to Hebron. (An additional ramming attack had taken place more or less in the same location a day before - our report on that is here.) The soldiers reacted quickly, and she was shot. They found a large commando knife in her handbag after the woman was rushed away to hospital in Jerusalem. She died there of her injuries. Associated Press: "Her son denied she tried to harm anyone, and that she was on her way to lunch with her sister when she was killed." A Tweet: "#Israeli occupation forces executed the #Palestinian woman Tharwat Sharawi 70Y/O from Hebron with 15 bullets"
Two weeks before the lethal assault, al-Sha'rawi wrote a will. And she reportedly told a daughter, Ihlam, about the same time: "I think I am going to die soon... Oh, Allah, let me die as a shaheeda [martyr] and not in my bed" (Source: The Shasha.ps website, November 8, 2015). We now see she turned her prayer into a plan; she succeeded in not expiring in a bed. 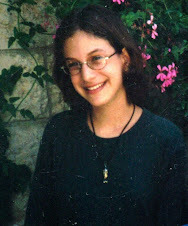 Violent confrontation with Israelis is nothing new in this clan's life. 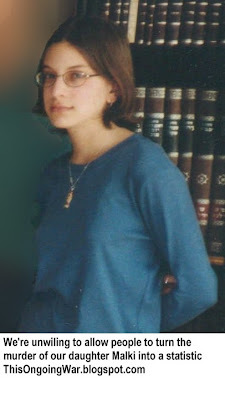 She was the widow of Fouad al-Sha'rawi, a terrorist killed by IDF fire near Hebron during the early days of the so-called First Intifada in 1988. Ihlam, the daughter, is the wife of Mohammad Jamal al-Natshe, a Hamas-faction member of the (non-functioning) Palestinian Legislative Committee. His current address is in care of the Israel Prison Service. Though none of the Arabic-language websites we consulted said so, this book indicates that Grandmother Al-Sha'rawi's son-in-law was among the founders of Hamas. At some point, al-Natshe served as head of Hamas' so-called "military wing in the West Bank". The connection to the Islamist terrorist movement runs strongly in this tribe. 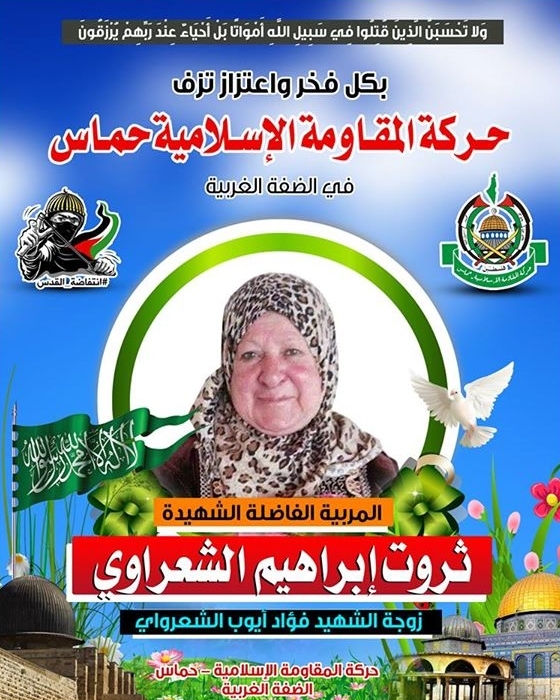 A Hamas poster [source], replete with Hamas symbols and imagery (see right) was issued to mark the death of the elderly woman, adopting and celebrating her "achievement". 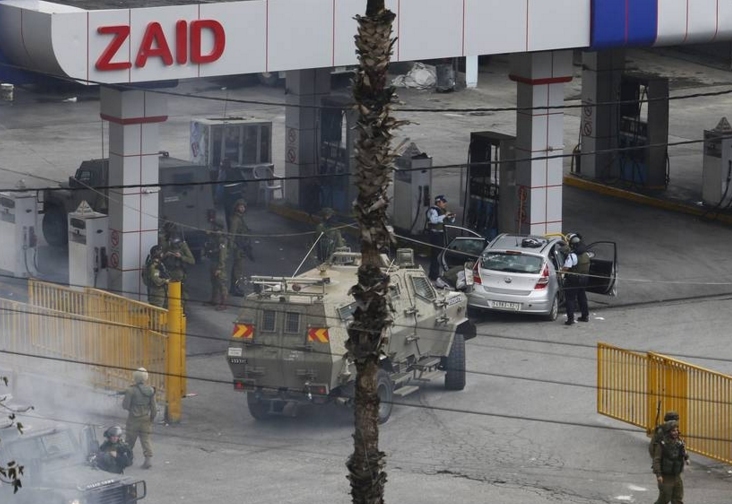 There's a tragic consistency to the counter-factual way the Palestinian Arab media collaborate in issuing broad-ranging denials that attacks against Israelis - by car, by gun, by knife - are connected to terrorism. Allegations that the Israelis have carried out "extra-judicial executions" are now a fixed part of the ritual, adopted by Palestinian Authority figures, by anonymous editors and reporters, and by members of the terrorists' family and/or clan. For foreign consumption only, the attackers are presented as being as innocent and pure as the driven snow. The message beamed at the Palestinian Arabic public, by contrast, is the exact opposite: the perpetrators - whether pension-age grandmothers or adolescent youths - are portrayed as martyrs, shaheeds, whose heroic actions elevate them into figures of community-wide emulation, and role models for others who will be persuaded to follow in their footsteps. A society, in other words, in the full grip of a death cult state of mind.